The relationship between fashion and architecture is in constant dialogue as both disciplines echo each other’s design vocabulary. 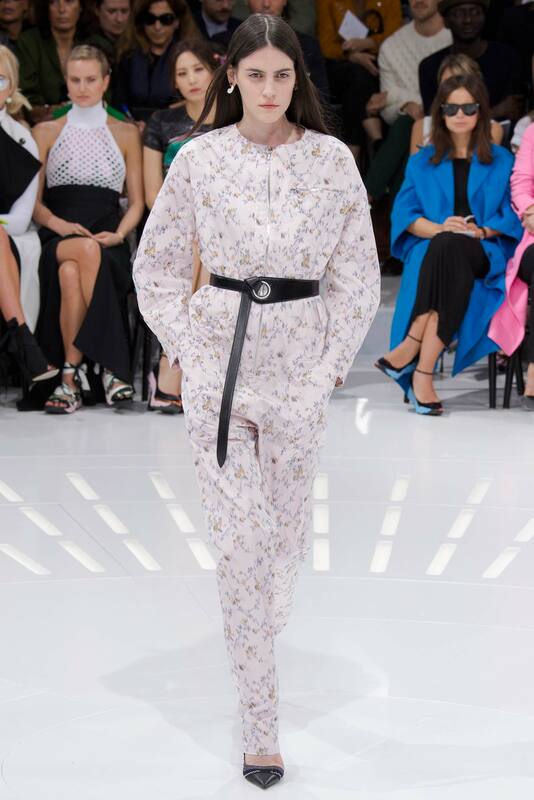 Nowhere is this more present that at the biannual catwalk shows, where clothing is made to fit the space, or more often, vice versa. 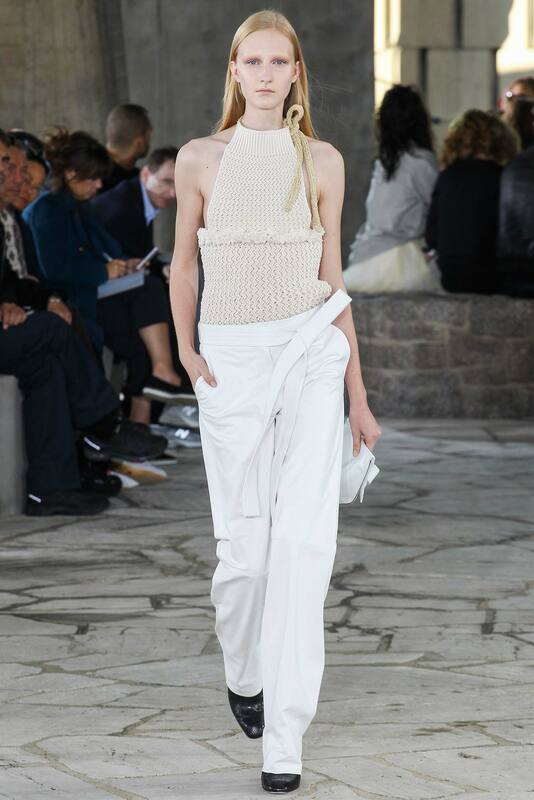 Jacob Rosengren considers three case studies from recent spring summer 2015 shows where fashion entered into conversation with the space in which it was presented. Showing seasonal collections is no more about sending out a selection of clothing down a blank, usually white, canvas of a catwalk. Brands with the financial capital can ensure that the clothing and the space is which they are presented, are in harmony with each other. 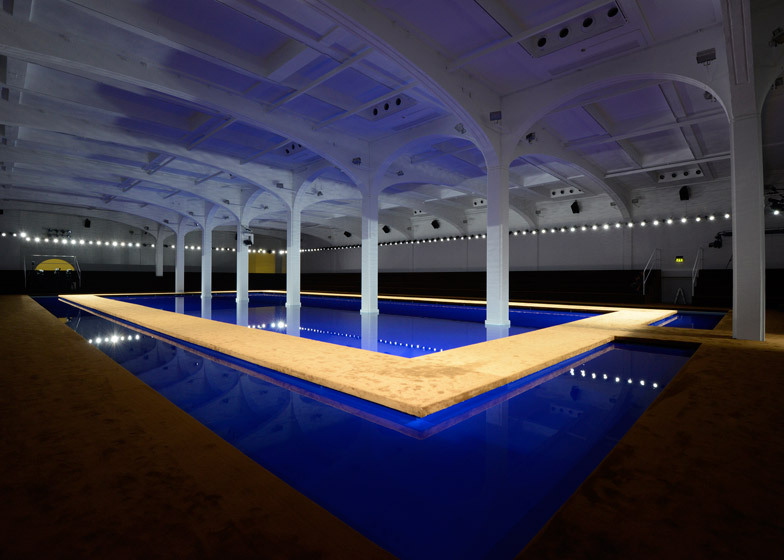 Whether a carefully selected location that enhances the experience like with Loewe, a building owned by the brand such as the Fondazione Prada that can act as a playground for experimental ideas or custom commissioned and built tent in the way they do at Dior, it is all about the location when it comes to ensuring that the messages brands send out for the season are cohesive and considered from a 360 degree perspective. 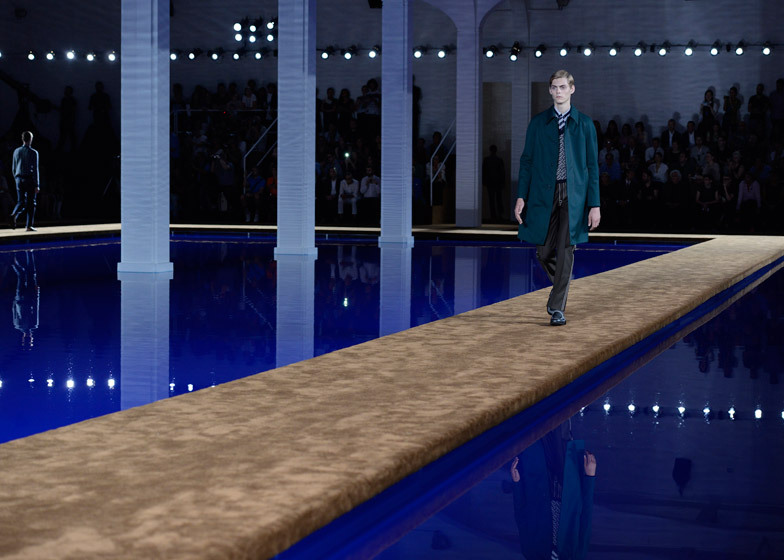 For his first show, Anderson certainly sent out a clear statement about his intentions in wanting to elevate this otherwise forgotten brand, hence the choice of venue reverberates even more. The UNESCO building, designed by three of the most significant architects of the 21th century Marcel Breuer, Pier Luigi Nervi and Bernard Zehrfuss[ref]These architects were selected by a committee consisting of Lucio Costa, Walter Gropius, Charles Le Corbusier, Sven Markeliu, Ernesto Rogers and Eero Saarinen. 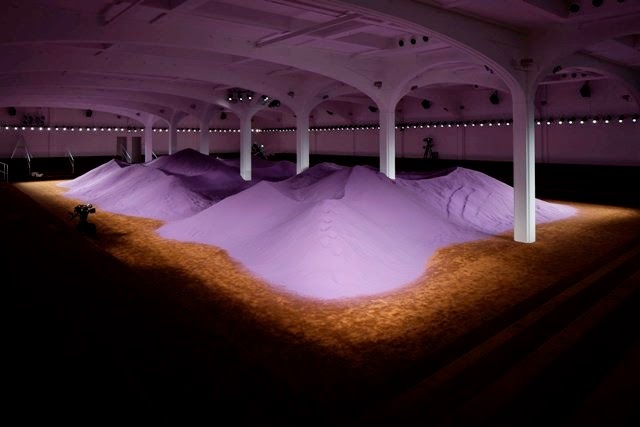 [/ref], is a challenging backdrop to for a collection. 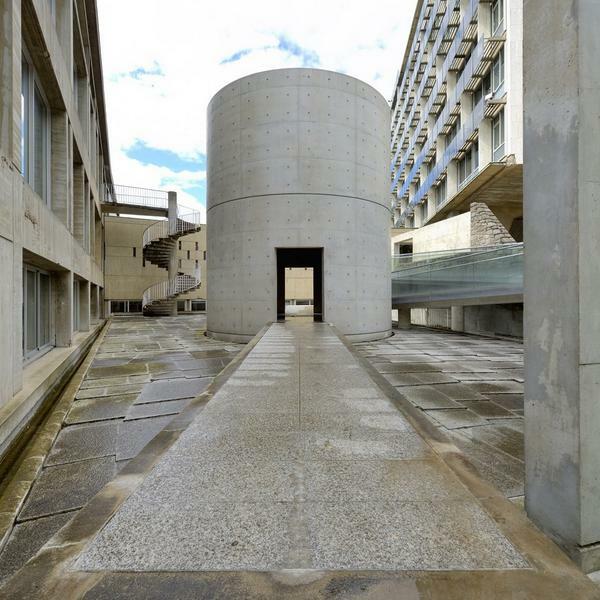 Yet, Anderson’s design ideas entered into a dialogue with the building as the models entered the path set out for them in the Japanese Garden on the grounds of UNESCO[ref]Designed by pioneering Japanese American sculptor and landscape architect Isamu Noguchi[/ref]. 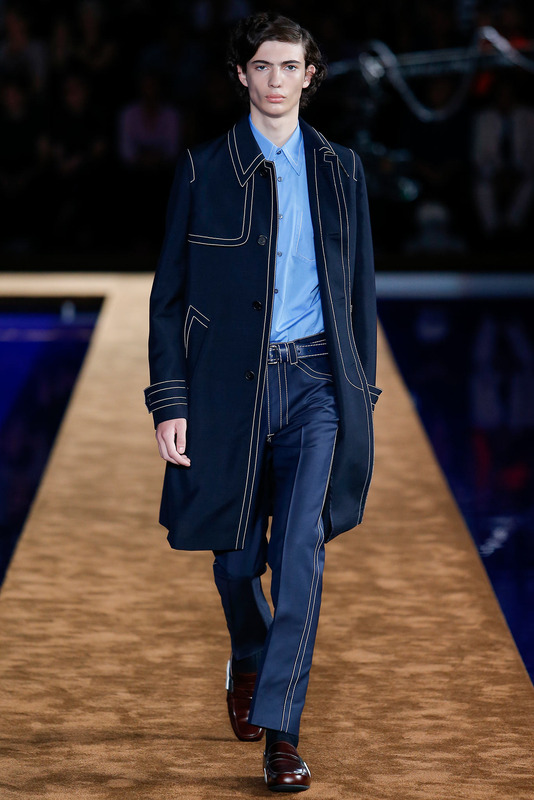 The rawness of the materials used in the collection mimicked the rawness of the materials used on the site. 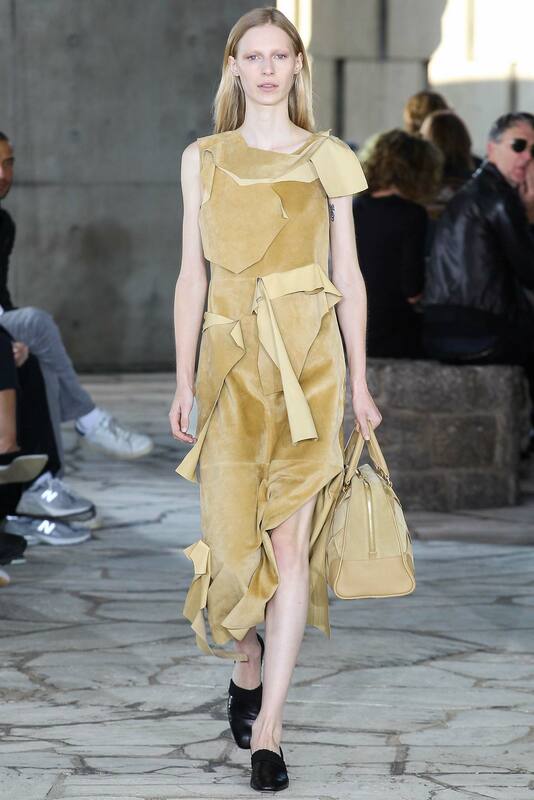 Leather and suede, the trademarks for Loewe, are used in a similar way to stone in the Japanese Garden: both appear untreated and accidental but are anything but. The garden set incorporates references from Japanese heritage blended with predominantly European Mid-century aesthetics creating an unexpected mix – also seen in Anderson’s work. These reference points resonate particularly in detailing whilst imperfections, or wabi-sabi, enhance the overall dialogue created in cloth. Geometry and asymmetry continually converse in both the clothing and the garden but come together in harmony. The Prada show spaces are the responsibility of AMO, the research driven counterpart of OMA[ref]Architectural practice founded by Dutch architect Rem Koolhas[/ref], that operates in areas beyond the traditional boundaries of architecture, including media, politics, sociology, technology, fashion, curating, publishing, and graphic design[ref]The partnership between the brand and practice is longstanding with collaborations covering store design and pop up spaces and the biannual show sets[/ref]. The results of this collaboration, are usually conceptual propositions, breaking the traditional notions of arrangement, look, perspective and purpose of a catwalk. 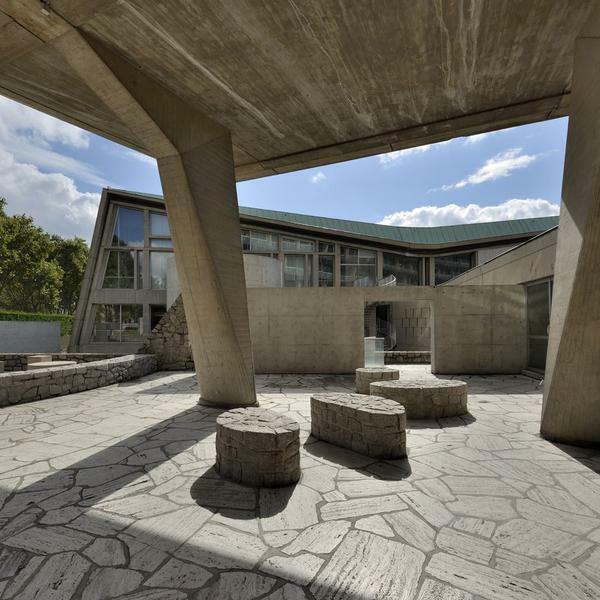 The clothing echoed the relationship between the spaces both physically and metaphorically. The interplay of control and chaos was mirrored in the clothing through the use of statemental topstitching contrasted with unraveling hems. This was also reflected in the silhouette referencing Victorian prudery and 1950’s primness with an underlying subversive tension. 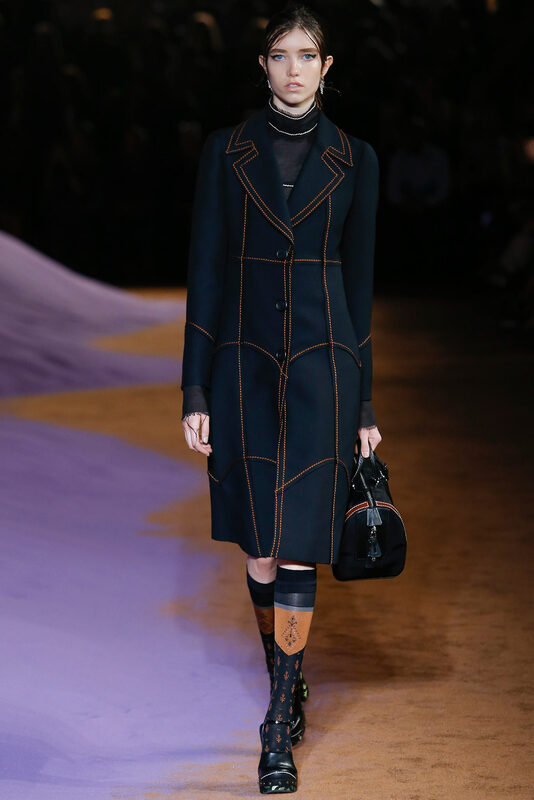 Fabrics bounced between heavily pattered prints and jacquards to sharply contrast the clarity of leather, suede and wool whilst the colour world of the set was picked up in some of collection details – little brown in the stitching, lilac in the trimmings. 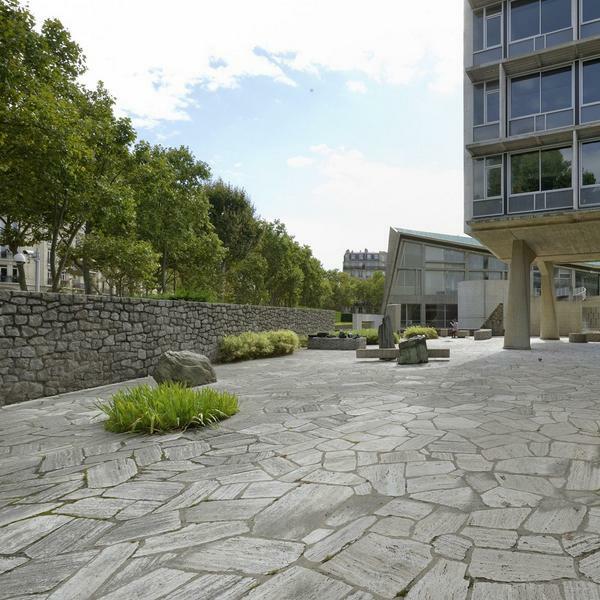 The show space took form as a custom built structure in the Cour Carrée courtyard of the Louvre. 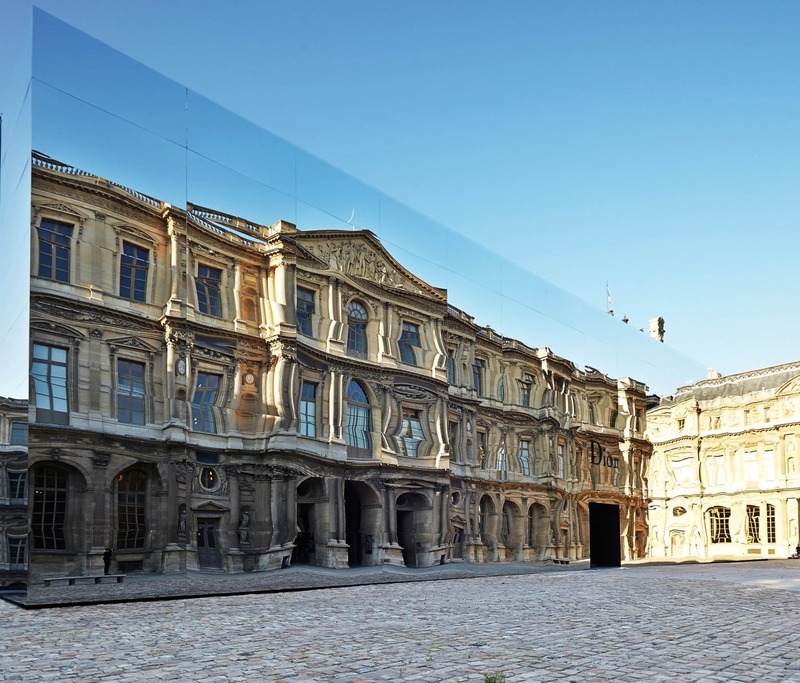 The mirrored outer shell painted a reflection of the surrounding ancient palace, once home to the kings and queens of France. The resulting surface gently morphs into a disfigured architectural tableau. The scene inside the show space however, was in stark contrast to the glossy cover. 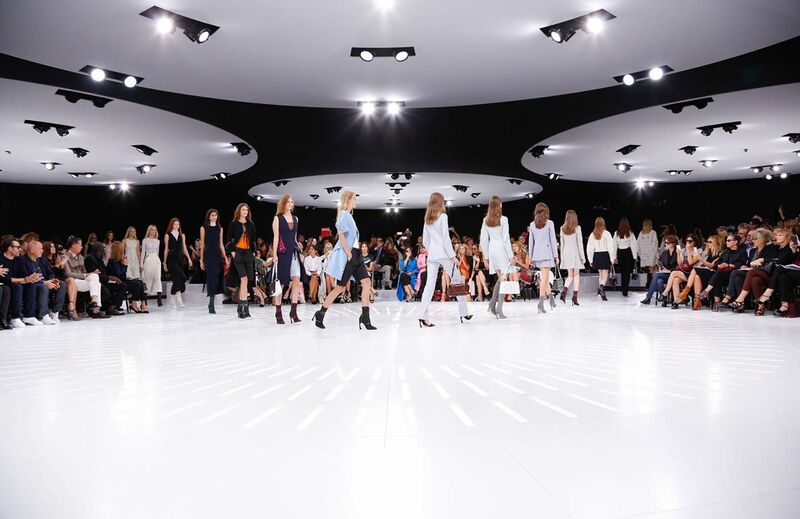 The floor plan, that builds on the style used for the autumn winter 2014 couture show, subtly mimics the octagonal corridor featured in Stanley Kubrick’s 1968 science fiction film 2001: Space Odyssey, with its immersive optical appearance and graphic mixture of black and white [ref] 2001: A Space Odyssey (1968) by Stanley Kubrick[/ref]. 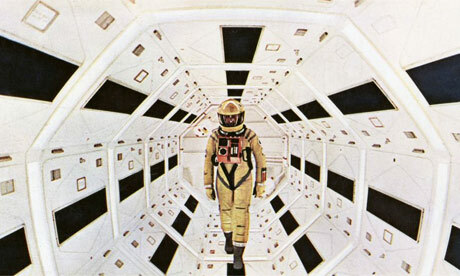 2001: A Space Odyssey (1968) by Stanley Kubrick[/ref]. Simons understands this approach well as a reflection on the way we occupy our environments and consume design. The relationship between past and present is in constant dialogue, building up resonating layers in the evolution of our wardrobes and surroundings: it is never the case of carte blanche. Fashion, and indeed design, is not about blatant newness: it is about innovation that is rooted in traditions, codes and well-established elements of the past, in order for it to evolve in minute increments: never in leaps.